We are an independent publisher with an international outlook, producing inspiring books by innovative authors. We have high editorial standards and seek to build the reputation of our authors by working closely with them. At Sandstone Press we pride ourselves on our exquisite taste in the titles we select and in how we present them to the world. Design, typography and production values are central to our philosophy. 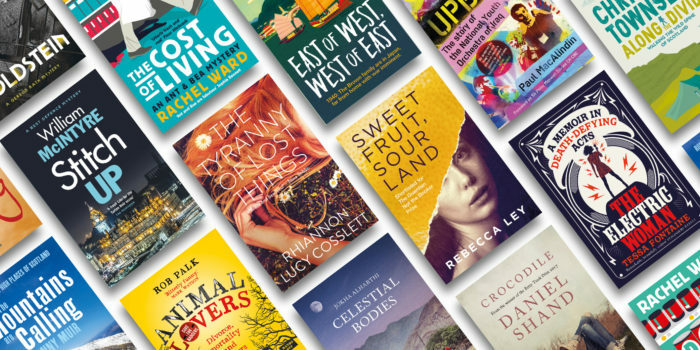 We publish thoughtful fiction, gripping crime and adventurous non-fiction such as outdoor, biography and memoir. The company is represented by Quantum Publishing Solutions in Great Britain, Brian Blennerhasset in Ireland and Dufour Editions in North America. Our books are distributed by Book Source, ebooks by Faber Factory Powered by Constellation. Sandstone Press books have won or been shortlisted for many literary prizes including the Man Booker, Commonwealth, Arthur C Clarke, Creative Scotland, Green Carnation, Saltire Society, Petrona, Sunday Times Barry Ronge Fiction Prize (SA), Bill Rollinson Prize for Landscape and Tradition, Boardman Tasker, Walter Scott Prize for Historical Fiction, Betty Trask Award, Not the Booker, and Desmond Elliott Awards.